Well, I felt like a loser Granny yesterday evening. 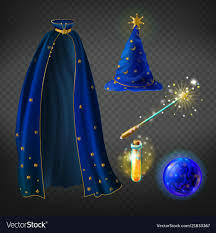 My grandson called and asked if I had any wizard/magician clothes or props. as his school is having a Dress Up as a Wizard or Magician Day on Thursday. Surely Granny, with all her unicorns and faeries, would have some magician wands or hats or capes laying around. Couldn’t help my favorite grandkid out with his costume project. Now, of course, I know I’m not a real loser. I’m sure one day I’ll be in the Grandma Hall of Fame. But I want to be that special grandma. The one who has everything, knows everything, loves everything.I’m the go-to for hugs, conversation, and treats. I am a superhero, the one who plays trucks and watches them build Lego ninjas and dance in the rain and play every new game they get. I have the neat house my grandkids always want to visit, and I’m the one who takes them to movies and chimes “go girl! go girl!” everytime we pass the witch on the window. I’m not the loser. The shadow. The failure. Not in my grandkids’ eyes. Through their eyes I see a different version of myself. I’m cool, I’m magic. I’m loving. I don’t have problems or faults. I have patience, understanding, and empathy. I am wise and gentle and special. There’s no broken dreams around my grandkids. No failures, no competition. I’m not old; just older. There’s just love and heroine worship from my grandkids. There has to be. It’s my second chance to make things right. To mold a mind. To hold a hand. That’s why I should have had had at least a magic wand in my bag of tricks. Oh well. Next time. In the meantime, I’m all set if they ever have a Unicorn Day…..